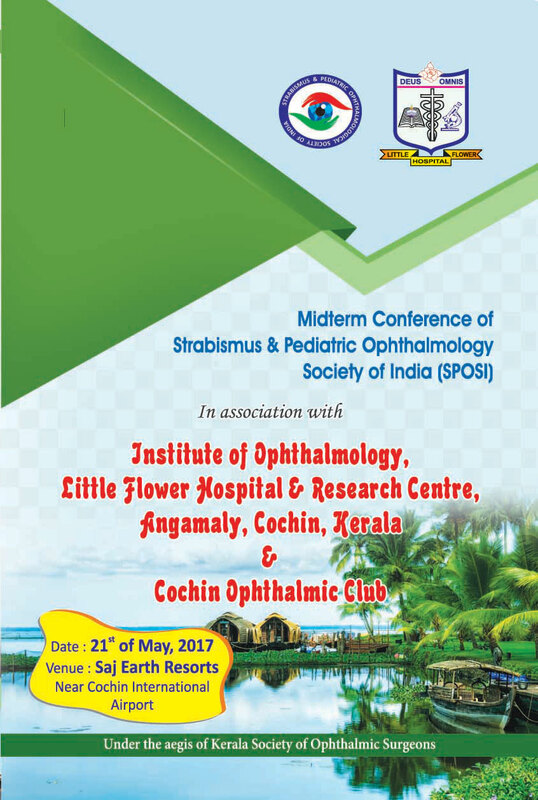 Midterm Conference of Strabismus & Pediatric Ophthalmology Society of India (SPOSI) will be held on 21st of May,2017 at Cochin. 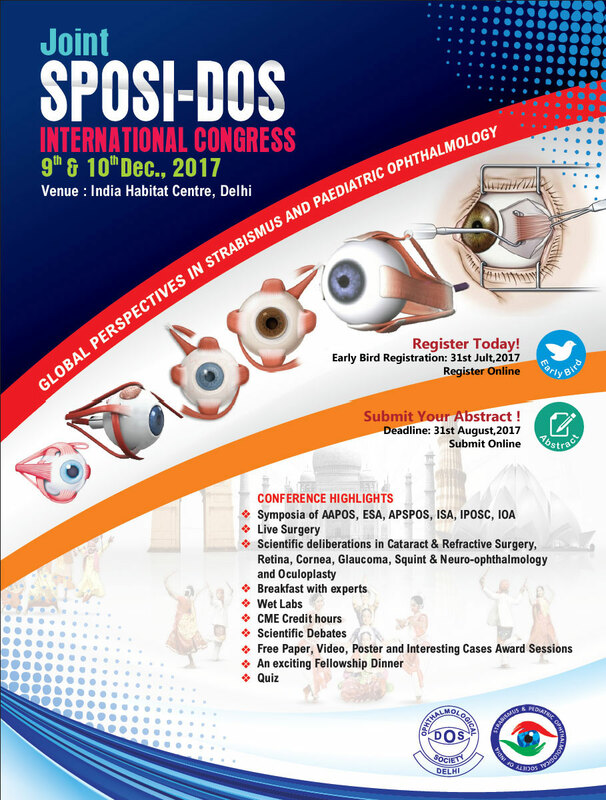 The 2017 annual conference will be held at Delhi in month of Dec 2017. 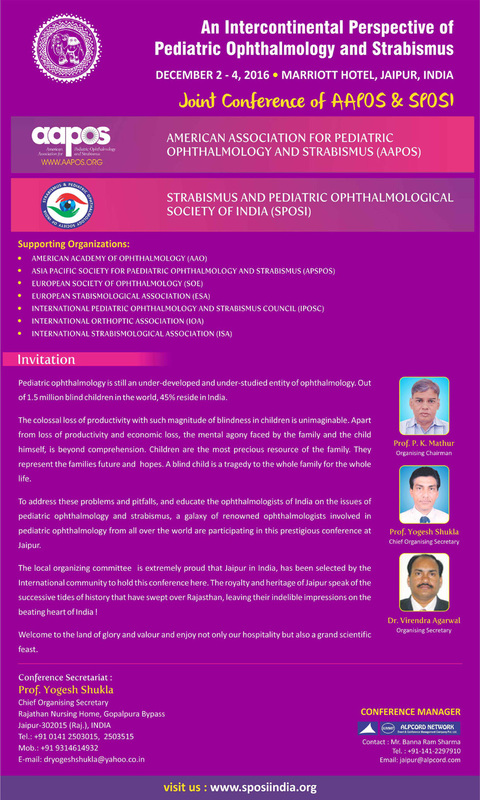 The Joint AAPOS, APSPOS and SPOSI conference will be held from 2-4 Dec 2016 at Jaipur. 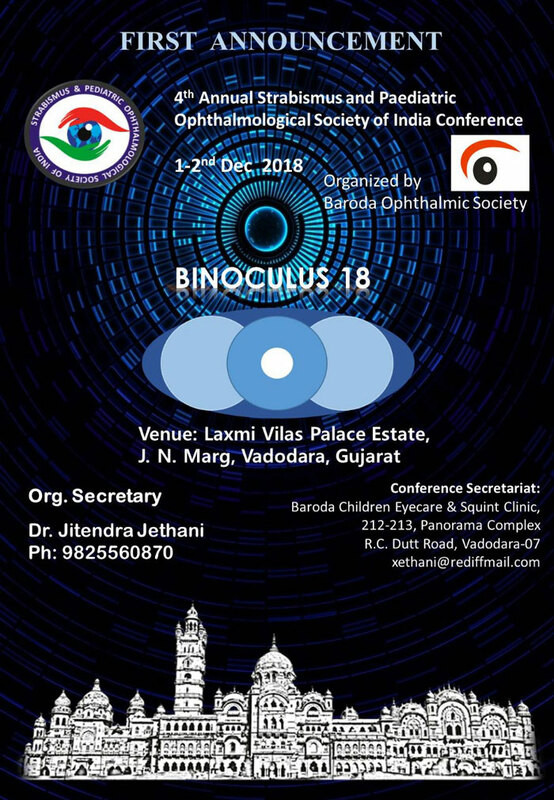 1- REGISTRATION OPEN--7.0 AM ONWARDS - 2nd DECEMBER, 2016. 2- SCIENTIFIC SESSIONS: AS PER SCIENTIFIC PROGRAM. 3-INAUGURATION: HOTEL MARRIOT. 6.0 PM TO 7.0 PM, FOLLOWED BY HIGH TEA. 4- GBM- SPOSI MEMBERS ONLY- ( 3rd DEC., 5.30 TO 6.30 PM) HOTEL MARRIOT. 5- BANQUET: HOTEL CLARKS AMER, JLN MARG,JAHAHAR CIRCLE. 3rd, DEC., 7.30 PM. CHARGABLE FOR NON-SPOSI DELEGATE. @RS. 2000/- PER PERSON. 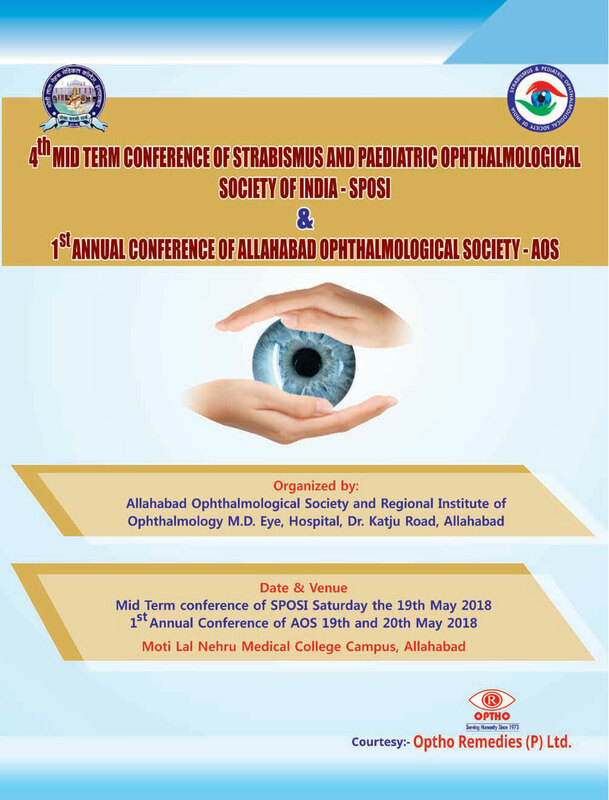 AAPOS, APSPOS AND SPOSI CONFERENCE at Jaipur on 2, 3 & 4th, December 2016.